"The Blessings of Multiple Causes [*]"
Causal inference from observational data is a vital problem, but it comes with strong assumptions. Most methods require that we observe all confounders, variables that correlate to both the causal variables (the treatment) and the effect of those variables (how well the treatment works). But whether we have observed all confounders is a famously untestable assumption. We describe the deconfounder, a way to do causal inference from observational data with weaker assumptions that the classical methods require. How does the deconfounder work? While traditional causal methods measure the effect of a single cause on an outcome, many modern scientific studies involve multiple causes, different variables whose effects are simultaneously of interest. The deconfounder uses the multiple causes as a signal for unobserved confounders, combining unsupervised machine learning and predictive model checking to perform causal inference. We describe the theoretical requirements for the deconfounder to provide unbiased causal estimates, and show that it requires weaker assumptions than classical causal inference. We analyze the deconfounder's performance in three types of studies: semi-simulated data around smoking and lung cancer, semi-simulated data around genomewide association studies, and a real dataset about actors and movie revenue. The deconfounder provides a checkable approach to estimating close-to-truth causal effects. This is joint work with Yixin Wang. probabilistic topic modeling, scalable Bayesian algorithms, and interpretable generative models. He works on a variety of applications, using data from text, images, medicine, the social sciences, and the natural sciences. David has received several awards for his research, including a Sloan Fellowship (2010), Office of Naval Research Young Investigator Award (2011), Presidential Early Career Award for Scientists and Engineers (2011), Blavatnik Faculty Award (2013), ACM-Infosys Foundation Award (2013), and a Guggenheim fellowship (2017). 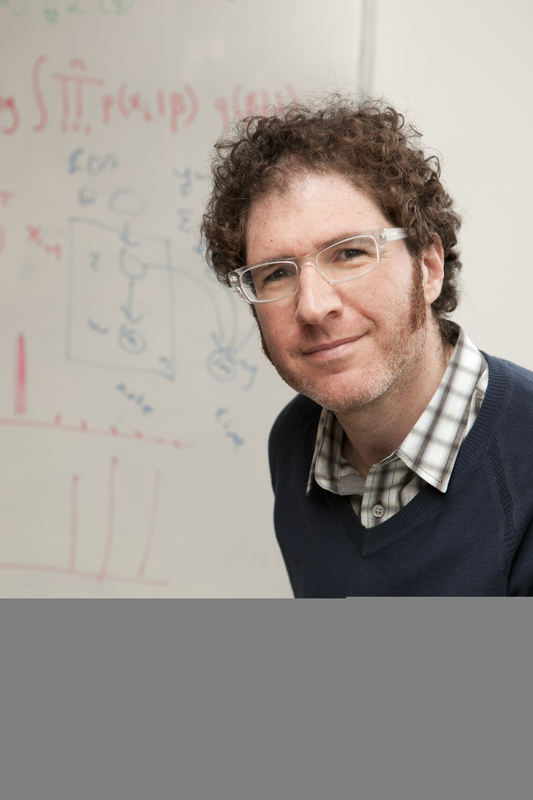 He is the co-editor-in-chief of the Journal of Machine Learning Research. He is a fellow of the ACM and the IMS.